Debuting on October 5, 1955, the Continental Mark II carried a price tag of $10,000 – fifty percent more than the most costly Cadillac of the same year. With a long hood, short deck, and a trunk sculpted to hold the “continental” spare in a semi-upright position, the new Conti captured the proportions and sporty yet elegant spirit of its handsome predecessor, and it succeeded in becoming the “modern classic” that Ford officials had hoped for. 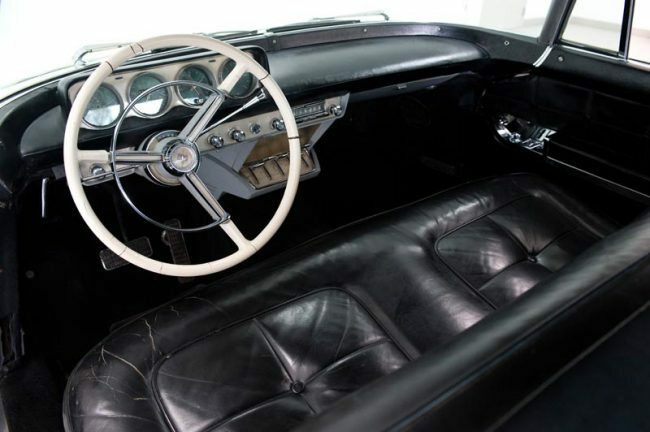 The Continental Mark II was the elite automobile of the 1950’s rich and famous: Elvis Presley, Frank Sinatra, Louie Prima, Dwight Eisenhower, Nelson Rockefeller, the Shah of Iran, and many other celebrities proudly owned and drove them. The build quality for the Continental Mark II was impeccable, rivaling the careful construction lavished on cars like Rolls Royce. 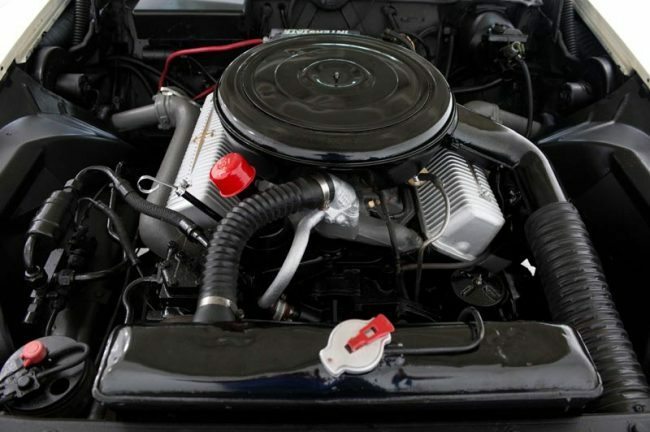 For instance, exterior chrome was subjected to a ten day salt spray test, and transmissions were tested prior to being attached to engines, and then the completed units were subjected to a rigorous dynamometer test. Front sheet metal was fitted to the body before final assembly and painting, and only lacquer was used in the painting process. Fourteen quality control stations were placed in the assembly plant at critical stages. When completed, each car was, of course, exhaustively road tested before release for delivery. 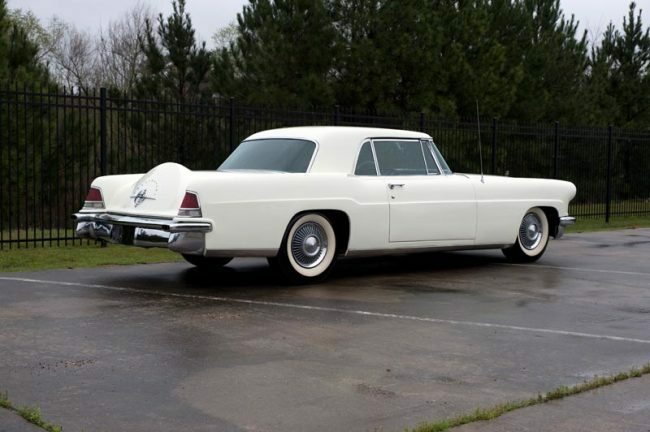 Much of the car was assembled by hand and with its high price and slow-moving production line, the Mark II was never expected to be a high-volume moneymaker for Ford, but it was instead intended to be the flagship for Lincoln’s re-entry into the luxury car field. It likely never made a penny for the company but succeeded admirably in establishing Lincoln in the top rank of U.S. made cars once again. Production for 1956 totaled only 1,325 cars, and all were hand built. Today the Continental Mark II has been designated a Milestone Car by the Milestone Car Society. Donning its original White exterior with the factory black leather interior, this example carries all of the standard amenities including power seats, power windows, power steering, power locks, factory tachometer and power brakes to further enhance the touring experience in this fine automobile. In addition, the only “option” available — air conditioning — was thankfully ordered, and worked perfectly. The original 285 HP engine and transmission power the Mark II to achieve modern highway speeds, and the comfortable cockpit is every bit equal to the finest cars Europe ever offered. With only two years of total production, the Mark II instantly became a car in high demand. That demand has risen steadily to this day. If you have an early model Lincoln or another classic you’d like to insure with us, let us show you how we are more than just another collector vehicle insurance company. We want to protect your passion! Click below for an online quote, or give us a call at 800.678.5173.